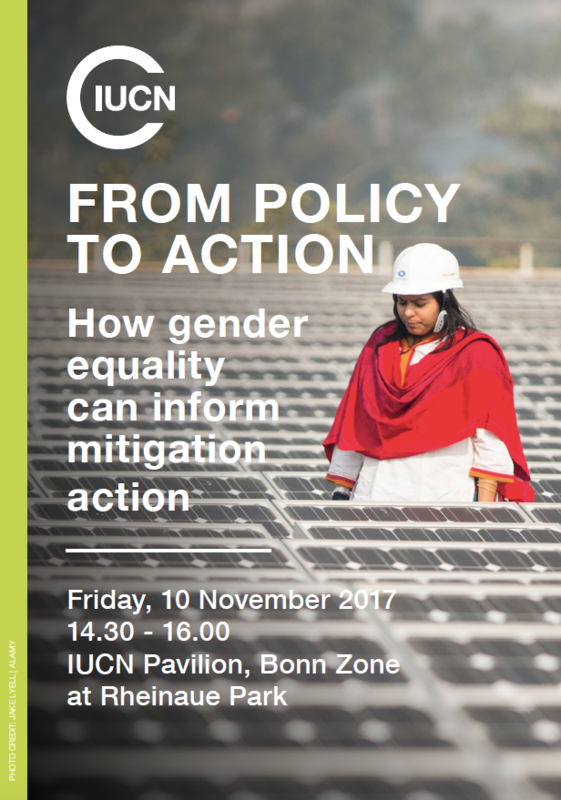 This side event presents the findings of the two latest reports from IUCN’s Environment and Gender Information (EGI) platform on energy policies and SEforALL country action documents. Examples of how countries are implementing gender-responsive actions to increase the uptake of renewable energy technologies will also be presented. The side event will close with reflections on how the content of these analyses and actions can be used to inform the discussions under the UNFCCC.